The following links were sent to me from Australia. 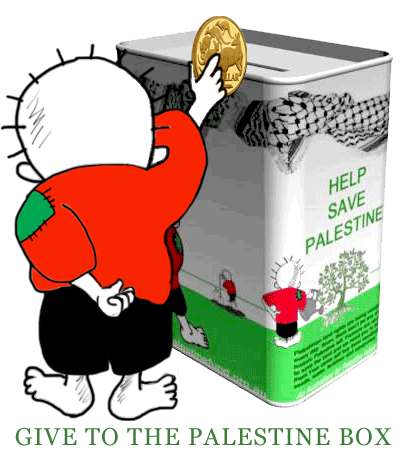 They are all important and will give you an idea how YOU can help the children of Gaza during these most difficult days for them. Please take the time and click on every link posted below. I am writing to share one of my passionate community education projects called Gaza Children Cinema which I founded in Gaza back in 2013. I often say that only hope left in Gaza is the young generation which we need to invest in to build up a better future for Gaza and for the region. The overall situation in Gaza is devastating which has demoralised me personally a lot. However, I often get energized when watching those kids in Gaza still smiling despite the harsh realities. The following are links to articles dealing with the situation …. This week, the Australian Attorney-General George Brandis said in a speech that his country ought to stop viewing East Jerusalem as an occupied city. The Arab world, if indeed there is still an entity as such, and Muslims around the world must respond in a meaningful manner to the latest affront coming from Australia. Brandis is notorious for his racist views and xenophobia. Some of his critics have already described him as “Nazi-minded.” The Australian press recently quoted him as saying that “people have the right to be bigots,” which made racist and anti-immigration groups in Australia ecstatic. Unfortunately, much of the man’s vindictive chauvinism is reserved for Arabs and Muslims. His remarks about E. Jerusalem encapsulate a morbid mind-set not unlike that of the people who wanted to create the Third Reich. We Palestinians don’t wish to harm our or Arab-Muslim relations with the people and state of Australia. However, Brandis by embracing the illegitimate Israeli view that East Jerusalem is not an occupied territory and that the city is part of the criminal Israeli state has actually gone beyond the pale. For us, this is no less than a political adultery and it can’t be forgiven or allowed to pass. Not only he has seriously offended 1600 million Muslims, including over half a million in Australia itself, he has actually flown in the face of international law and numerous resolutions by the United Nations and UN Security Council which all ruled that East Jerusalem is illegally and unlawfully occupied by Israel. Hence, the repulsive statement by Brandis must be condemned in the strongest terms and rejected by the Australian government. However, given that government’s record in dealing with Arab and Islamic issues, especially the Palestinian problem, there is little hope that Australia would rethink this offensive decision. Unfortunately, Australia has always been among the most extreme western states in displaying hostility to the Palestinian cause. Its propensity to appease Zionist whims is probably unmatched by any other western country. Even Germany, which has sought relentlessly to atone for the holocaust by effectively embracing Jewish Nazism, and Britain, which inserted the venomous Jewish snake into the Palestinian child’s cradle, doesn’t recognize East Jerusalem as part of Israel. Hence, the audacity and offensiveness of Brandis’s remarks. It is not enough to voice our displeasure to the Australian government over this manifestly hostile move. We must make it unmistakably clear to that distant state that Jerusalem is our soul and heart and that the Holy City is the ultimate inviolable Red Line. We must not have normal relations with Australia unless its government reconsiders this provocation. We are not bereft of the means to respond effectively to this premeditated insult. The size of the Muslim world’s trade with Australia is estimated to be in the billions of dollars. Australia exports livestock to Muslim countries worth of hundreds of millions of dollars per year. If we proved to the Australian government that our national and religious dignity is worth so much, then that government might reconsider its unprovoked hostility to our people. But the proverbial ball is not in the Australian government’s court. It is squarely in our court, both as people and as nation-states. That is why we must make it abundantly clear to the government of Australia that it has a few weeks to rescind its odious decision or else we would stop all our imports from that country. We surely can do without Australian lamb meat. There are numerous other destinations from which we can import lambs. Needless to say, when the choice is between an Australian lamb meat meal, soaked in hatred and hostility for our paramount causes and our religion, and the First Qibla of Islam, Muslims ought to know rather innately which choice to take. Otherwise, Australia and other like-minded countries would be correct in treating us this way because those who don’t respect themselves are not entitled to be respected by others. For me and my family, from this moment we will not buy anything produced in, made by or exported from Australia.Australia must be treated by all Arab and Muslim states as an enemy state until it rescinds its hateful step toward our people and our faith. 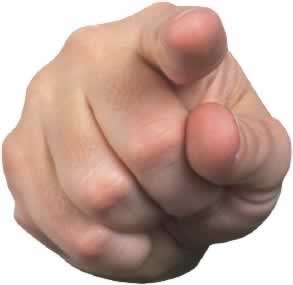 Finger Pointing is much easier than THINKING …. The price of pork was controlled by Jews? This confused my son who was about ten at the time. He asked the man what Jews had to do with the price of pork …. the man took off like a bat out of hell. The last thing these criminals wanted was uncovering their unsavory past. The war criminals of today haven’t had ‘their day in court’ yet so they are a bit bolder and don’t run off that quickly (but their day will come). It’s not the Jews they blame for the evils in the world today as most of them are Jews themselves, zionists to be specific. To them, it’s the Muslims ‘that did it’ …. In 1938, Thomas White didn’t want to “import” Jews, allegedly so as not to give rise to anti-Semitism in his country. Many things seem to have changed since then in the land of kangaroos and koalas, and it’s quite possible that these changes stem, among other things, from the import of hundreds of thousands of Muslims since the 1980s, including thousands of Palestinians. With both communities facing a severe shortage of burial space at Rookwood Necropolis, believed to be the largest cemetery in the Southern Hemisphere, the New South Wales State Government officially opened the last available land there to be shared by the two faiths. New 3.3-hectare site will have enough burial space for both communities for the next decade or more. Lakemba Mosque’s Sheikh Safi and Yair Miller at Rookwood General Cemetery.Photo by Courtesoy of Rookwood General Cemetery. Sydney’s Muslims and Jews may not see eye to eye on certain matters, especially those involving Israel, but last week the two communities found some much-needed common ground. Burial ground, that is. The Harbor City’s Muslim population, which numbers more than 150,000, would have run out of burial space within months, according to officials. The city’s 45,000-plus Jewish community would have managed in the short term. The new 3.3-hectare site will have enough burial space for both communities for the next decade or more. Half of the new lot will be reserved for about 4000 double-depth Islamic graves; the other half will be for around 2,700 single Jewish burial plots, said Katrina Hodgkinson, the Primary Industries Minister. The two sections will be divided by small roads inside the cemetery, she added. The development comes amid allegations of Hezbollah sleeper cells operating in Australia and a controversial call for an academic boycott of the Technion in Haifa by students at the University of Sydney. Yair Miller, president of the New South Wales Jewish Board of Deputies, said the new burial site was proof of the healthy relationship between the two faiths in New South Wales. “It needs to always be worked on but we have a very cordial relationship in NSW with most of the mainstream Muslim groups,” Miller said. It was “vitally important for cultural and religious reasons” that the two communities had some certainty about where their loved ones would be buried, said Victor Dominello, the Minister for Citizenship and Communities. Miller said he was not aware of any opposition within the Jewish community to the plan. “The model of a multi-faith cemetery is one we’ve lived with here in the last 200 years. But Michael Burd, a vocal critic of Islamic extremism in Australia, said he was horrified. “When I read about this decision I very disappointed,” he said. Referring to Lebanese-born Sheikh Yahya Safi, the Imam of Lakemba Mosque who was at last week’s official opening, Burd added: “Sheikh Safi presides over a mosque that is notorious for espousing hatred of Israel and Jews in Sydney. Our Jewish community representative who agreed to this joint venture should be ashamed of himself,” he said. “I am not exactly happy about it,” added a Jewish woman from Sydney, who wished to remain anonymous. Jeremy Jones, a former president of the Executive Council of Australian Jewry and a founder of the Australia National Dialogue of Christians, Muslims & Jews, said the local media’s interest in the story was out of context with decades of Jewish-Muslim relations. The two faiths have collaborated on many other matters, such as anti-discrimination legislation, he added. But Jones conceded that “extra special care” will have to be exercised by cemetery officials for certain high-profile burials. “But there is no reason for any group to disturb or dismay one another,” he said. a sport foreign to most in the Middle East. 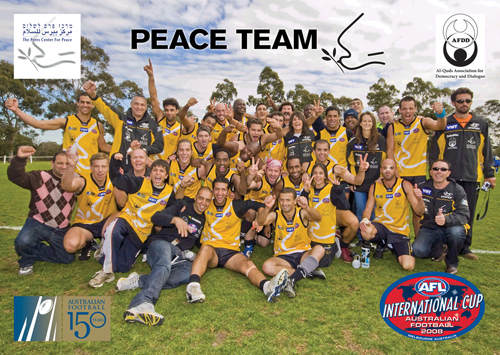 communities through the Twinned Peace Sport Schools program.